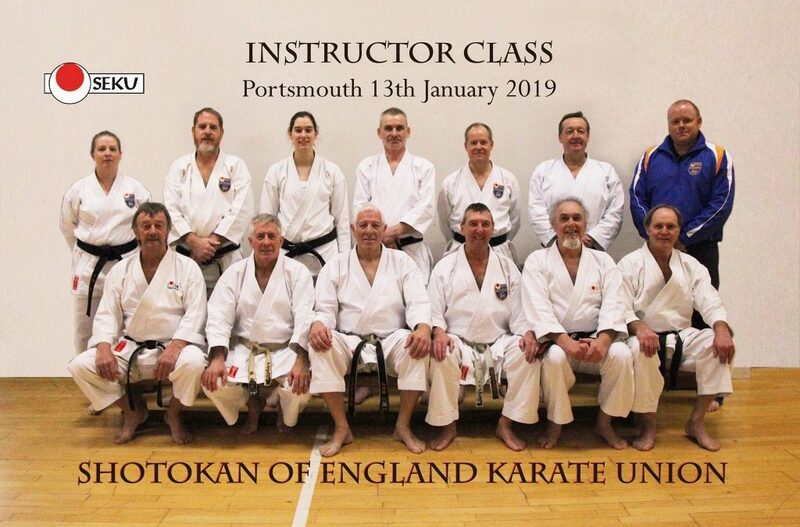 Sunday 13th January saw SEKU hold the first Instructor Class of 2019. The main objective for this course was to pass on techniques and advice to club instructors regarding Shodan examination expectations, and ultimately with a successful outcome. Alan Lewis sensei 6th Dan, started the days proceeding with general warm-up excersises followed by basic brown belt techniques and combinations. It still amazes, me after all this time how difficult and physically hard basics can be. With the class fully warmed up and a “buzz” around the dojo it was time to move onto section two of today training. The day’s kata Bassia Dia, under watchful eye and tuition of Brian Smith sensei 7th Dan. This was an extension of 2018’s final Focus on Kata class held in December. Each move and section, was analysed piece by piece with repeated practice of every part as we completed each and every section. With the willingness to learn from the instructors training, the improvement in Bassia Dia soon became noticeable. Towards the end of the kata class as always, there was a sting in the tale with a sudden change to Heian Godan. As part of the Shodan grading syllabus, along with the day’s emphasis, it seemed only fitting that a Heian kata should be performed. The final part of this class was a practice of the type of combination required for a Shodan grading. This was section of the class was followed by a short break in preparation for the third, and final part of the day’s training. The class reconvened under the guidance of our 8th Dan, Chief Instructor Mick Dewey sensei. Again the class was based around Bassia Dia, but this time Bunkai (application). As always, kumite lifted the “buzz” to a new level with some innovative applications that even I had not seen before moving from partner to partner, practicing an ever changing, progressing and adaptive Bunkia. This meant for a spirited dojo as the class began to draw to it’s conclusion with again Bassia Dia one more time. under the scrutiny of the SEKU hierarchy and that sensei had the privilege of announcing Alan’s promotion to 7th Dan. A truly well-deserved award to an unusual speechless Alan. 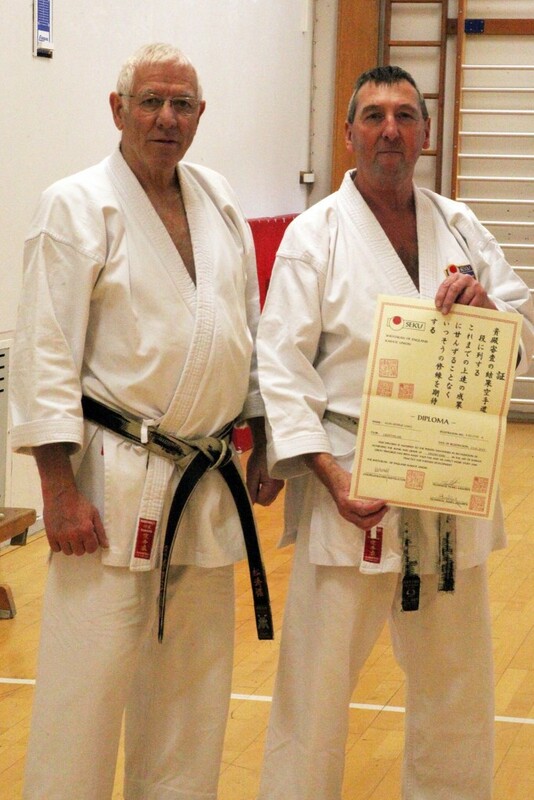 There was a spontaneous round of applause and immediate congratulations from the class in recognition of this promotion for one of karate’s most long standing and one of the South of England’s most experienced karateka. A fitting closure of the days class and a great SEKU karate start for 2019. The next SEKU event is on Sunday 10 February, Black and Brown Belt Course (open to 4th Kyu students and above). Both Sensei and the SEKU Technical Panel look forward to seeing you there.